Blain has been supplying its high quality flow control and safety valves to the hydraulic elevator industry in India for over 15 years. With an installation base of more than 20000 units in India and market share of more than 65%, Blain is by far the largest supplier to OEM’s in the Indian hydraulic elevator industry. With a vision to strengthen its market share in the second largest elevator market in the world, Blain India provides immediate availability of products, spares and technical support to its customers and caters to the promising and developing elevator market in India and the Indian sub-continent. Be a leader and provide highest quality products meeting & exceeding international standards in the hydraulic elevator industry. Innovate, design and deliver world class products thereby expanding the hydraulic elevator industry globally. Support customers by providing education and know-how on making quality hydraulic elevators meeting international safety standards. All Blain products are designed from scratch for the vertical transportation industry. High quality, safety and reliability not only meets but exceeds the safety norms like EN81-20/50 & ASME. A.17. As a pioneer, Blain has been building products which are above and beyond the industry standards. A true market leader and active contributing member of different norms and standards committees worldwide, Blain Hydraulics has the maximum papers presented & published in international elevator symposiums and international journals. At Blain, Innovation is at the forefront of our business & safety, reliability and quality of our products are of utmost importance. Patented, compact, lightweight and aesthetic product design. Self-cleaning filters; high tolerance to oil contamination. All adjustments front facing, clearly indicated & self-explanatory. Interchangeable parts between different products (standardisation) helps servicing and stocking very easy. Integrated options and adjustments result in very low pressure losses and heat generation. 100% ED coils; wide range of voltage choice and robust design. 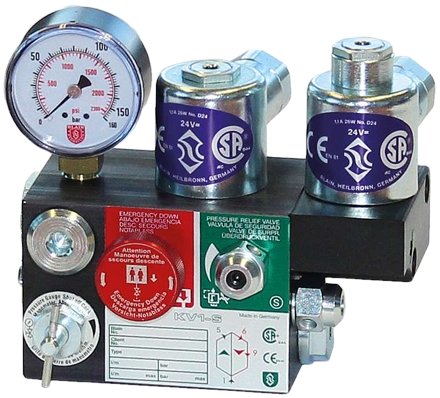 Wide temperature and pressure operating range. Interchangeable flow guides to suit different flow and pressures. Pressure compensation for large commercial & freight elevators. Single return line (tank connection); ease of assembly on power unit unlike some confusing design from competitors. 100% speed control and adjustments for up and down direction. Silent valve functioning by virtue of silencers. 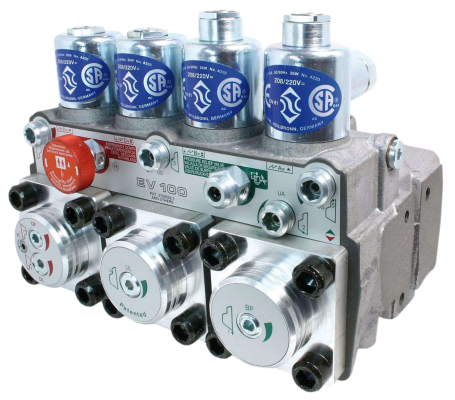 The only company in vertical transportation industry to offer explosion proof solenoid valves for use in explosive environment. Wide range of connection and assembly options. Easy and quick to service. Standard Allen keys of 2 sizes more than sufficient for valve adjustment. All valves factory adjusted as per technical data provided by customer, adjustment on site is rarely necessary. Strong technical support across different time zones through availability of local telephone hotlines worldwide. Troubleshooting, valve configurator and calculator using App for smart phones and tablets (functional offline) for on the fly access. 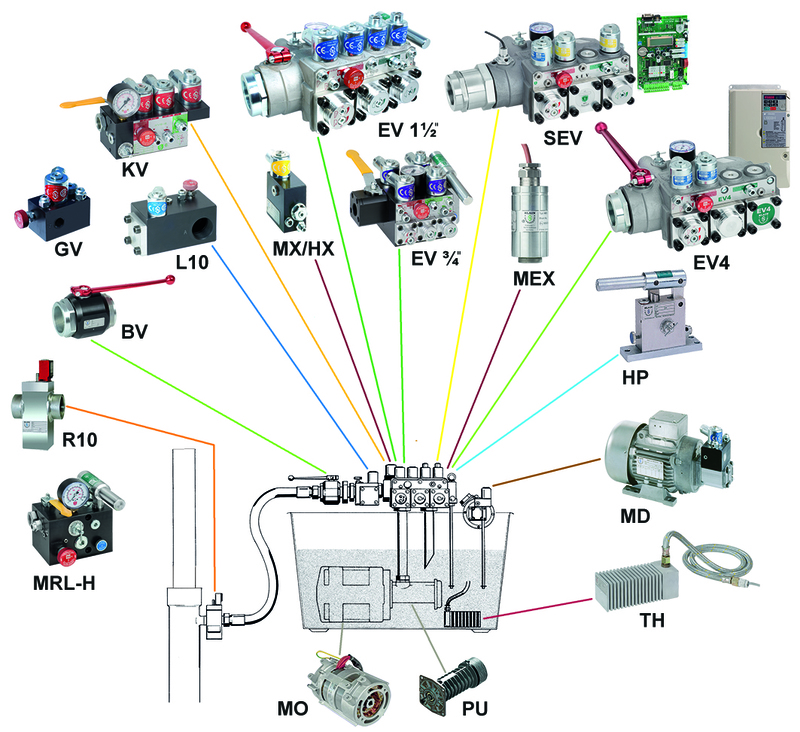 Free technical consultancy and help on how to make power units for interested customers and beginners in the hydraulic elevator industry domain. Online webinars and comprehensive continuing education program useful for designers, engineers, technicians and beginners. Go Just in Time – Instant availability of our products is the key to strengthen the hydraulic elevator industry in India which is the second largest elevator market in the world. This helps our customer go just in time without the need to stock and block their capital. Just let us know what you need and you would have it the next day. Alternatively, you are most welcome to walk in and have it instantly. Everything you need is available with us – Blain offers almost 80% of the components needed to build a hydraulic elevator power unit. From flow control valves, safety valves, accessories and even submersible pumps and motors, we provide integrated solutions which is properly configured and optimised for your needs. Value addition – Every elevator is unique. Unlike an industrial valve you can’t just buy any valve and fix it in an elevator hydraulic circuit. At Blain it’s important to us that our customers not only get the correct products but also properly configured to perform optimally. Hence after proper consultation with our customers we offer them the best which guarantees flawless working on site. Service / Spares – We understand how important it is for our customers to have immediate availability of spares or service should they need one. We are just a phone call away. We have anything you may need to get our products back in action including replacements should it be necessary in urgency. Technical support – Using our local hotline, customers can not only reach us anytime in India but as well get connected with our engineering in Germany for any assistance they need. With in-house testing and servicing facility on our test stand where real time on site conditions can be simulated, we can conduct diagnostics test, service and repair our products on the fly. Training / Continuing education – At Blain we give a lot of emphasis on continuing educating and customer training on not just our products but the hydraulic elevator domain as a whole. This is at the heart of our business policy. We strongly believe that with proper technical know-how our customers can deliver world class products meeting international standards. Blain conducts webinars and in house training on our test tower free of charge to help customers understand the theoretical and practical aspects of our products and hydraulic lift industry. Anyone is most welcome. Architects, building construction industry and decision makers are often confronted with a question, Hydraulic or Traction/MRL when it comes to selection of vertical transportation means. Ironically the end user who has to use the elevator is seldom consulted or has a say in actual decision making. Due to its unique advantages, low cost and high safety records hydraulic elevators have been statistically proved over the years to be an ideal choice for low and mid-rise buildings (which comprises to be over 90% of worldwide building stock). Installation & maintenance Driving equipment safer, easier and quicker to install in a compact machine room in the basement or even machine room less. Drive assembled in the shaft, or in the top floor corridor. Passers-by and mechanics are exposed to danger. Rescue operation Simply operated ‘lowering’ knob or ‘raising’ hand pump for safe and quick rescue in either direction. Automatic rescue in case of power failure with in-expensive simple battery supply. Expert lift mechanic must be found and directed to emergency location. Insecure rescue methods may have to be attempted in the shaft. Valuable time is lost. Expensive automatic rescue device (ARD) needed to operate the system in case of power failure during emergencies. Earthquake & Fire Lift carried on the shaft foundation by a rigid cylinder. Machine room safely accessable at the lowest floor. Attached at the top of the shaft. The drive is precariously placed. A swinging counterweight adds to the danger. In the event of fire, smoke rising upwards makes the machine located on the top for rescue in-accessable. Equipment Equipment for a typical 4 stops – 4 person lift costs approx. €16.000. An equivalent MRL lift costs 10 to 30 % more unless subsidised by higher servicing costs which is often the case. Installation Installation costs are lower due to the convenient location of the power unit in the machine room and absence of counter weight and simplistic design. Through inconvenient positioning of the drive in the shaft, presence of counterweights the installation costs are about 25 % higher than with Hydros. Maintenance Costs are moderate with the motor-pump drive operating ideally under oil in a disturbance-free machine room. Inexpensive industry standard spares readily available in open market leaving no dependency on OEM’s. Equipment is inconveniently placed costing extra setup, preparation and maintenance time. Replacement parts are expensive and often only available from OEM at premium price. Energy Only in UP direction; down direction travel is gravity assisted. A VVVF hydraulic system would consume the same energy as MRL. Environment Most energy is used in manufacturing the cylinder. Hydraulic oil lasts for over 10-15 years and it is then recycled. Environmental harm is negligible. Increased number of components and complexity. Most energy is expended in manufacturing and servicing complex parts. Amount of fuel burnt in periodic maintenance and service leaves a much bigger carbon footprint over the period of complete life of the equipment. Pit & overhead space Ideal choice for pent houses / duplex apartments, villas, installations where an elevator often has to be added later on and especially where there is no availability of pit or overhead height due to building restrictions. Pit-less installations (5cm) without overhead height is no problem. Due to nature of design and necessity of machine room or gearless machine to be on the top, installations with no overhead space and pit makes installations very difficult or impossible. Noise The machine room damps out most of the noise from the power unit. 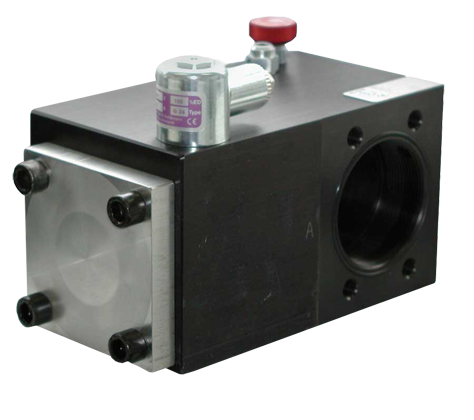 Modern day vvvf hydraulic systems are practically noiseless. Equipment can also be placed outside and adjacent to the building making it completely noise-free. The noise of the MRL motor in the shaft is more disturbing than when the drive is in a machine room. Ride comfort Similar to that of the MRL. Similar to that of hydraulic. Car space Due to absence of counterweights, larger car size (15-20%) fits in the same shaft. Alternatively, smaller shaft can be designed to optimise valuable building space for higher returns. Due to presence of counter weights in the shaft; car size reduces. 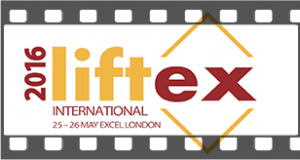 Valuable real estate is wasted and 15-20% larger shafts are needed to accommodate given passengers. Speed The ideal speed of a 4 stop, 4 persons is 0.4-0.6 m/s (max 1 m/s). The ideal speed of MRL is about 0.6-1 m/s. However, for a low and mid- rise building higher speed hardly wins any time due to total travel distance. Mechanics opinion 90% of mechanics prefer working conditions on Hydro due to safety and ease in maintenance. Unpopular due to high risk of injury to personnel during maintenance and servicing. Interested in making your power unit? 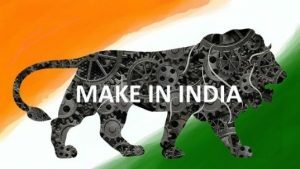 Blain actively support the GOI’s Make in India initiative. Blain offers help and consultancy to interested companies on how to build quality power units meeting international standards. 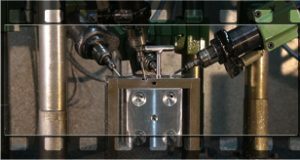 With 80% of the components needed to build a hydraulic power unit available from us, it would just take a little effort on your part to manufacture and assemble your own power unit. A quality hydraulic cylinder and a tank is all you need to get the job done! Join our online webinars or visit us at our facility in Mumbai for an in-depth practical training on our test tower and go behind the scenes to understand how a hydraulic elevator works. Learn how to configure your power unit, calculate various parameters, configure the right components and assembly them correctly. Understand the important aspects of installation and what safety norms outline. 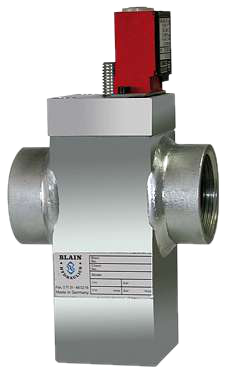 Since 1971 Blain hydraulics has specialized in the design and manufacture of the finest and safest control valves for hydraulic elevators. With over half a million Blain valves in operation worldwide, we are a leading company offering a wide spectrum of accessories and solutions for the elevator industry.